The competition was tough, with over 100 entries, but Rafflecopter has chosen the ten wonderful winners of my book. All winners have been notified and given instructions for obtaining the book. Edwardian England, A Guide to Everyday Life, 1900-1914, is still available at the following retailers: Kindle US & Kindle UK, Smashwords, Nook, Google Play, iTunes, and Kobo. 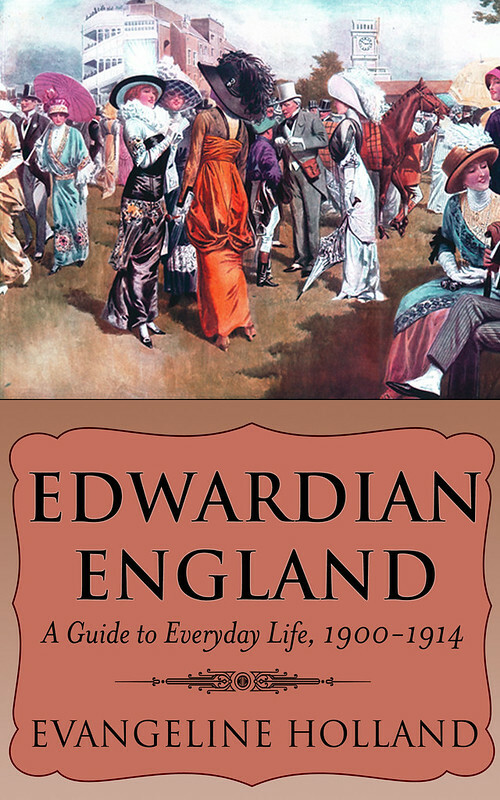 The print version of Edwardian England: A Guide to Everyday Life, 1900-1914 is available on Amazon UK and Amazon UK, so if you’d prefer to have that, you can also take advantage of Kindle Matchbook, where the print and ebook are bundled. Other retailers for print: Barnes & Noble and Book Depository. I also believe it’s available to be ordered from your local bookstore, so check there if you’d like to support your favorite indies. Dearest Evangeline, thank you so much! What a lovely surprise to find your e-mail this morning. Your blog is delightful, entertaining and educational, and I am looking forward to reading your book. Thank you again for your kindness and generosity. Thank you for your kind words, Nancy! Happy reading! I absolutely love my book! I’ve been reading it since earlier this morning when I recieved my e-mail. Thank-you so much! Hello: This looks like such a wonderful book and I’ve been on a “Daily Life in…” reading kick for a few months now. I sent you an email – it looks like I won but the notification didn’t reach me. My contact info is katherinegypson (at) gmail (dot) com Thanks! Looks like a really good book. Congratulations to all the winners!